Susan, I am constantly in awe of your exploits year after year. I can only imagine the pleasure and wonder you have seen. I know this is hard on Burton and I hope you can continue. Best of luck on your next journey. Be safe in your travels and maybe Brett would go one time with you. I loved reading your blog! Thank you so much for sharing your adventure. 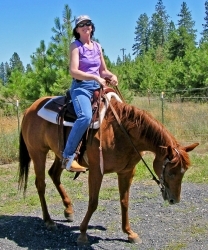 When we ride again on the Wickiup Plain, we will be thinking of you. Happy Trails. I was looking over your trip through the Golden Trout Wilderness and found an image of Mulkey Cow Camp. Your image made me smile. I actully grew up running cattle out of that cabin, every summer of my life. I do hope you enjoyed your visit to my home away from home. And yes, we have had some great bear encounters. I can't count how many times we had to replace the wire in the windows and the roof on that old cabin. Hope you wrote your name on the wall! I'll have to check next time I go home! I read you latest post, sounds like this one was hard on Burton, you and the animals. Glad to see your out safe this year. Take care and say hi to Burton for me. Our situation is about the same here, but life goes on. 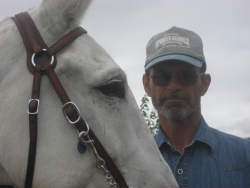 As I read you latest adventure of you on the PCT, My mind goes back to a horse named Javis. I think how he would have enjoyed the adventure with you. I'm happy for you and Burton that you took the time to smell the roses along the way of your lives. Hey How are you? i havent talked to you in a while. Hope your doing well! love you bunches! A fascinating read - well done you on such a mammoth journey. I feel like I was riding beside you.You and your horses were brave and I m sure came to know eachother so well. There no such long trails here in UK, but I can dream of doing something similar someday! Unbelieveable! Burton got himslf one WOMAN! I feel plumb woosy. I had a clue. I came to the ranch one time and you were working a field on a monster tractor. I'd never seen a woman driving a tractor. You still look good. Silver hair is about the only difference. Say hi to Burton. Susan, I'm looking forward to your next adventure to PCT. This time stay out of raveens please. have fun! 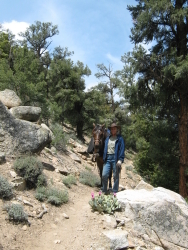 I am posting new and additional pictures for the 2009 PCT trail ride so go back and look over the journal. Starting in April I will ride the Pacific Crest Trail for the second time. This time I will cover the parts I had to skip last year. Hope you will tune in and keep up with my travels! Let me know if you are enjoying our web site!